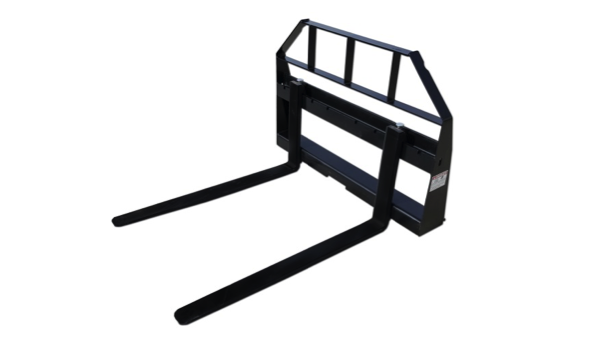 These compact tractor pallet forks are great for small tractors and small skid steers. They offer a 2,000 lbs. load capacity and 42″ tines. Rated for machines up to 45 horse power.